Conceptual Fountain in Importane Gostivar shopping mall. 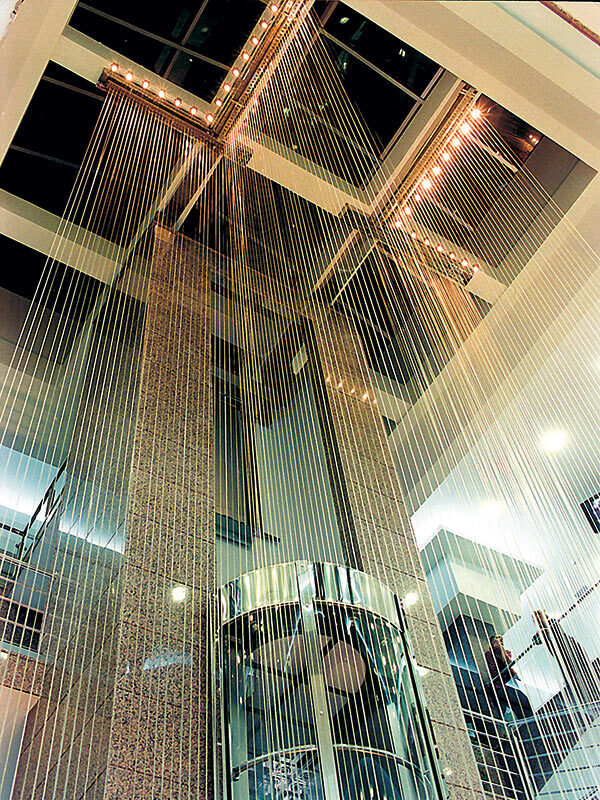 Interior fountain with transparent 4mm PVC stripes thru which from 16m height raindrops are falling. This conceptual fountain on the public square of Makedonska Kamenica, in Macedonia, is made in a form of a key with three inox rings in various diameters on which moving brass jets are fitted and groupation of 6 cascades in the elongated part. Animated Fountain Dardania in Prizren – Kosovo, is composed of three groups of circular positioned foam jets, which height goes up and down controlled by DMX. 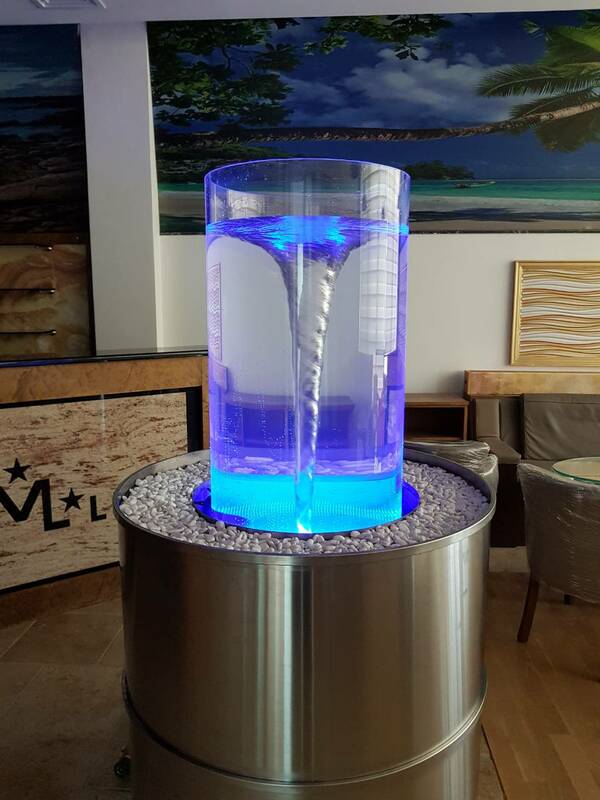 Architectural interior conceptual fountain with semi-curved glass on a aluminum construction, connected with inox tanks, from which the water flows thru the glass. Concept Fountain in Kisela Voda Park, unique fountain with flying massive artificial rocks, which look as floating over foam water jets. Artistic Fountain on the Pristina airport in Kosovo is made with unique sculptural composition with foamy background, which forms an water display and highlights the sculpture look. Animated Fountain at the Princess Casino in Gevgelija Macedonia is made with light effects, random water jets, not affected by wind. It blends perfectly with the object.